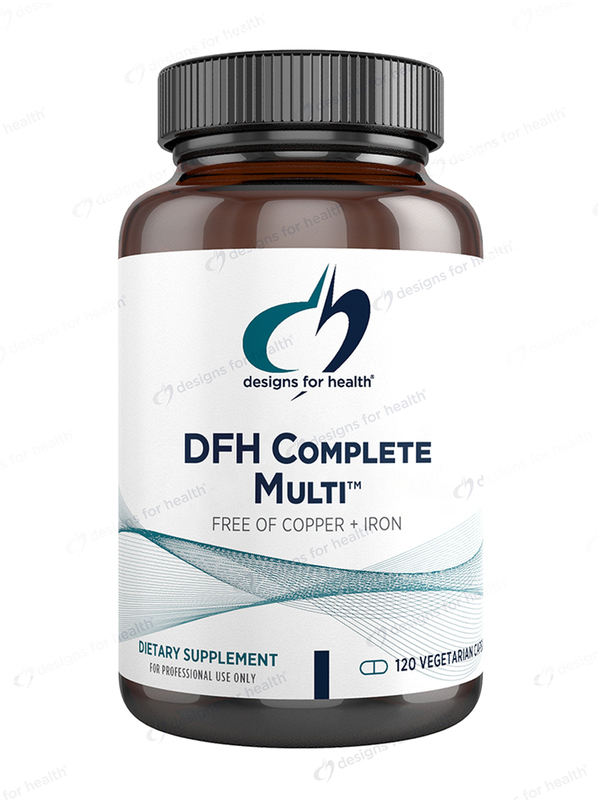 DFH Complete Multi by Designs for Health is a great multi vitamin with no copper. Have been using this DFH Complete Multi by Designs for Health for years, and feel great! Pure sells great quality products! I have been using DFH Complete Multi for at least 5 years. It was recommended to me by a Nutritional Pharmacist. It is the most complete multi-vitamin I know of. 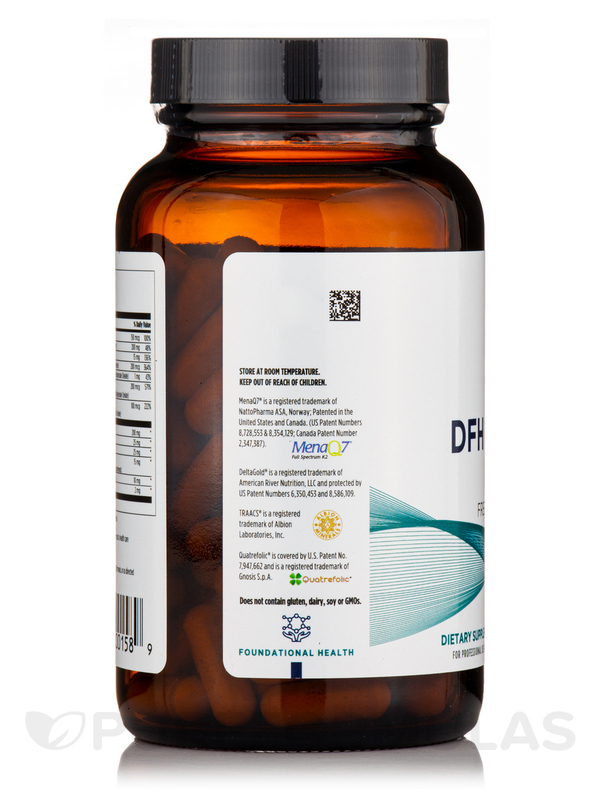 DFH Complete Multi™ is a full-spectrum multivitamin with Albion chelated minerals for maximum absorption and bioavailability. 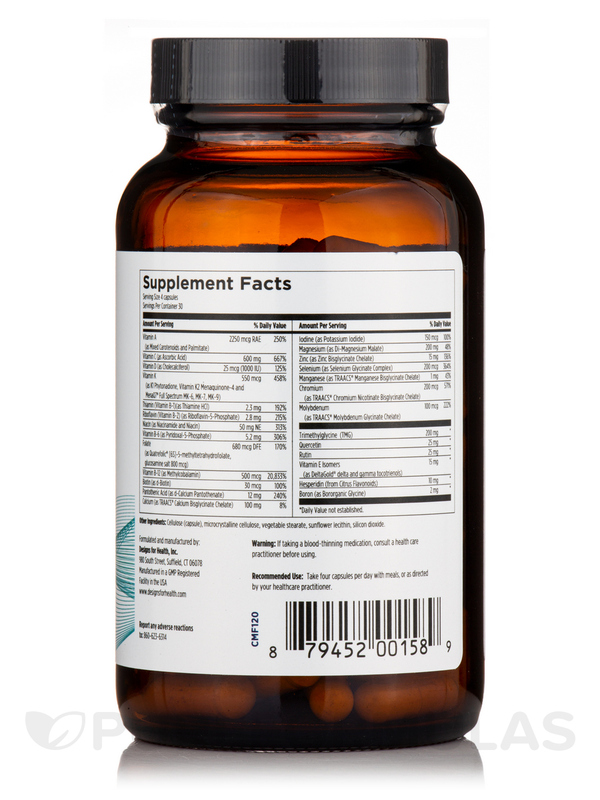 This powerhouse multivitamin supplies supportive nutrients not normally found in regular multis‚ such as alpha lipoic acid‚ TMG‚ fruit bioflavanoids‚ choline‚ and inositol. 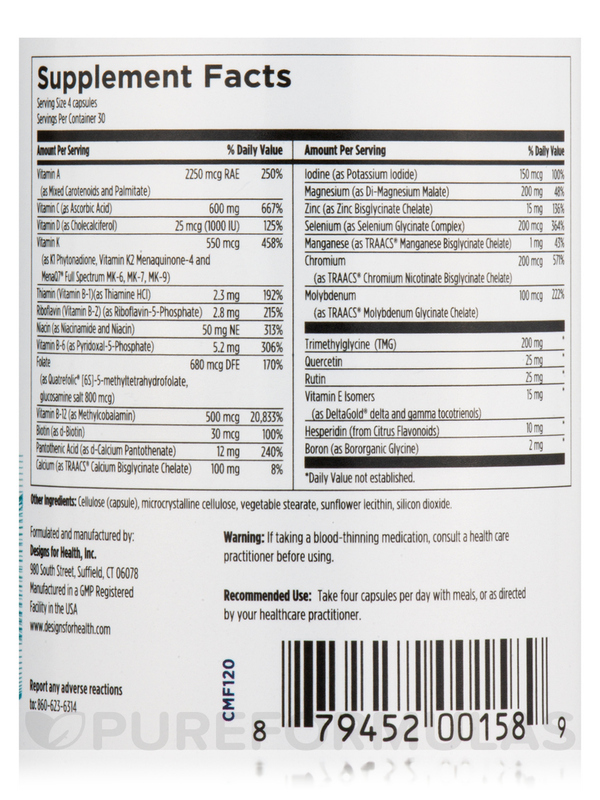 This formula also contains high gamma tocopherol vitamin E‚ high levels of all the B vitamins‚ including our proprietary NatureFolate™ blend of active isomer naturally-occurring folates‚ and natural mixed carotenoids. This copper and iron-free version is appropriate for men and postmenopausal women. 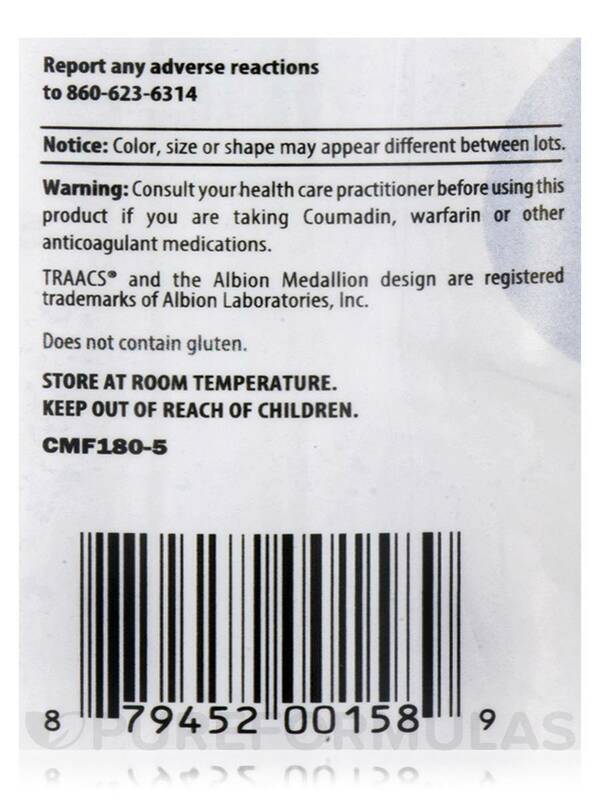 Other Ingredients: Cellulose (capsule)‚ rice bran extract‚ silicon dioxide. 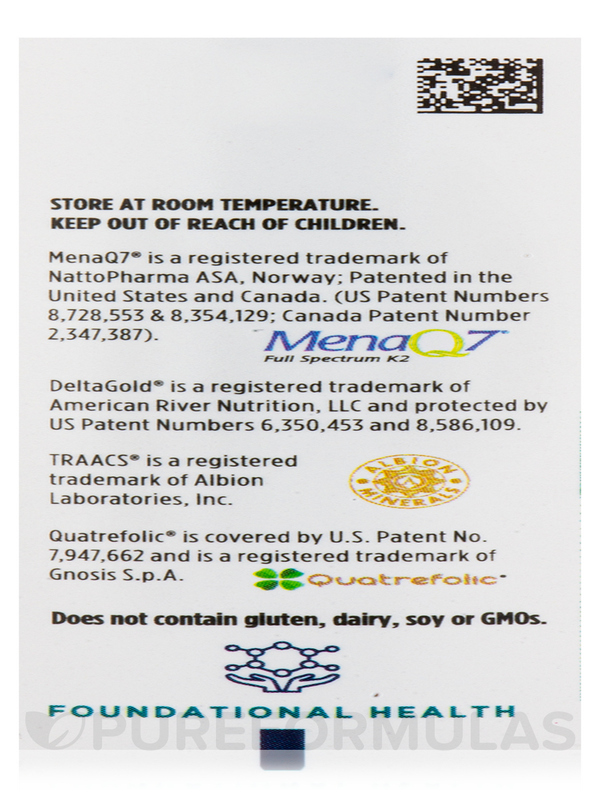 Guaranteed GMP Compliant Product / Gluten-Free. As a dietary supplement‚ take six capsules per day‚ with meals‚ or as directed by your healthcare practitioner (divided dosing recommended). Consult your healthcare practitioner before using this product if you are taking Coumadin‚ warfarin or other anticoagulant medications. We have been using this DFH Complete Multi by Designs for Health product for 3 years! I love the quality of it.I use it for the whole familys it was recommended by my holistic integrative medicine doctor. The shipping with Pureformulas is the best too! DFH Complete Multi by Designs for Health was recommended for my husband as a good multi vitamin/mineral. Pretty complete multi vitamin/mineral. Just have to add a few things for his particular needs. Cost and availability as DFH will not allow selling through 3rd party companies. I like the fact that the lab this comes from is very well regarded for their supplements.